The Dispossessed consists of two sculptures made from mangled and ChromaFlair painted chain-link fencing situated on the grounds of Transformer Station, for FRONT International in Cleveland, OH. 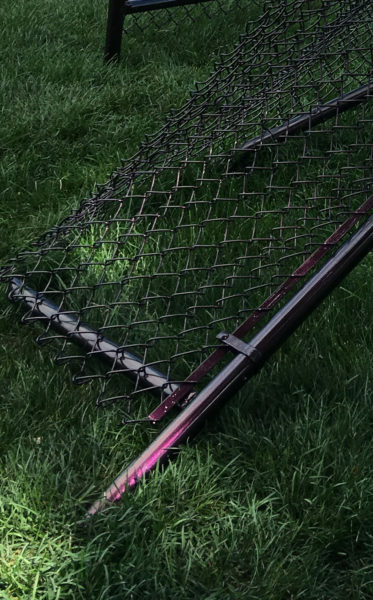 This work not only reflects on the role of fences as a tool for utilitarian boundary making but also as a means to criminalize and control the movement of particular bodies. 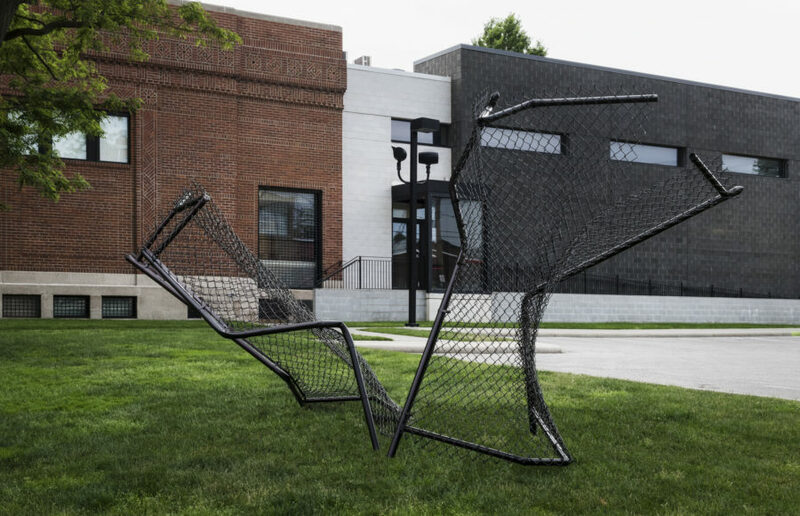 The Dispossessed desires to re-envision these divisive constructions by deforming and displacing the fence from its partitioning function, the sculptures perform as contorted and resonant figures within the landscape.